Most homebuyers have encountered some form of bad credit. The question is how good does your credit have to be to get a home loan? Lenders are far more understanding that one might think and credit can be repaired far quicker than most imagine. If a prospective borrower has had good credit for the last 24 months, most lenders will find a way to make a loan given sufficient income and enough downpayment. A late credit card payment or two within the past two years can usually be explained away through an explanation letter. If you are looking to get into a home and have a tight month make sure that you pay your bills on time. If you have to make a late payment do not let it be a credit card, home mortgage, car loan or other types of credit. Utilities typically do not report late payments so if you have to make a decision on who to pay, pay the creditor that will not report your payment late. If you have had credit problems beyond 24 months, lenders will want to know why so they can be assured that it will not happen again. 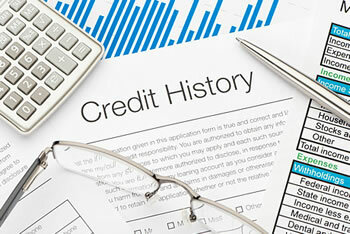 Some types of credit blemishes that might haunt you beyond 24 months are judgments or bankruptcy. 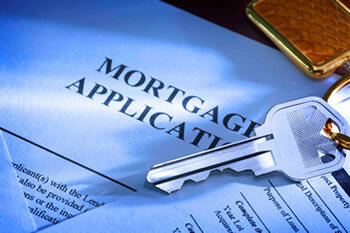 However, if you have either, do not throw in the towel, seek the advice of a qualified mortgage lender. Lack of credit may worry some, but under certain lending guidelines it cannot prevent you from getting certain types of loans. There are also loans that allow borrowers with large down payments to get around some qualifications of income and/or credit. Contact a qualified lender to have your exact case reviewed. The important thing to remember here is to not go above your comfort zone in a monthly payment. Most lenders will let you borrow far more than you would like to pay back on a monthly basis. Lenders typically look at debt-to-income ratios. With an FHA loan, lenders do not want a borrower's potential mortgage to exceed 31% of their gross monthly income. The lender does not want a borrower's total debt - that is mortgage plus other monthly credit payments - exceed 41% of their gross monthly income. For example: If a borrower makes $12,000 per year, or $1,000 per month, the lender will allow a mortgage payment of up to $310 per month and allow the borrower to carry total debt of up to $410 per month. The additional $100 per month might be a car payment, credit card payment or payment to a student loan. You can use the same ratio on your income to see how you qualify, but it is best to let a lender run the numbers to be certain. For conventional loans the so-called front and back-end ratios are 26% and 36%. In a conventional loan there is more flexibility for borrowers with a lot of down payment and/or excellent credit. Just a side note - There are many types of loans - from loans for veterans, first-time home-buyer loans, FHA loans, and conventional loans. FHA loans typically are used because they are more lenient on credit and will qualify a buyer for more money based on their income. VHDA (Virginia first time homebuyer loans) have the same income to debt ratios as FHA loans, but offer programs that allow less downpayment for a first time home buyer. Most loans above $138,000 fall into the conventional category. How much money does it take to buy a house? The answer is partly in the type of loan you use. A first-time homebuyer can use the VHDA loan program and get into a house for as little as 1% down. A veteran can use a VA loan and get in with nothing down. Buyers using an FHA loan can get in with a 3% downpayment plus closing costs. Contracts can usually be negotiated having a seller pay some or all of the closing costs. Conventional loans typically require a 5% down payment plus closing costs. The important thing to remember is that there are more loan programs today than ever before and a future homebuyer needs to sit down with a real estate agent and mortgage lender to help chart the best possible course. It is never too early to contact a real estate agent. The advice they give you will help you make the right home buying decision, so take advantage of their knowledge. Discount Points - "pre-paid interest". A discount point equals 1% of your loan amount and serves to buy a borrower a lower interest rate. If you plan on being in a home beyond 5-7 years, a discount point may be for you. If you move before then, you might not have recouped the money spent on the discount point from the savings of the lower monthly payment. Pre-paids - When you purchase a home, you must build up your escrow account. 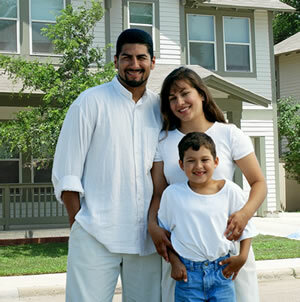 Your escrow account is paid into monthly and your property taxes and insurance are paid from it. When you settle on your home you usually pay into your escrow account three months of property taxes and 13 months of homeowners insurance. These monies are considered your pre-paid items. Closing Costs - While most people use this as a generic term, technically these are your fees for a survey, title insurance, attorney fees, as well as other settlement fees. It is common to refer to discount points and pre-paids as closing costs, but technically this is not correct. Why choose a buyer representative? Until recently, real estate agents always represented the seller - not the buyer. In the past, if your real estate agent drove you from house to house showing properties, they worked on behalf of the sellers. By law, the agent was always required to get the highest price and the best terms possible - for the sellers. The advent of buyer representation has changed this for the better. Today, buyers can choose to work with an exclusive agent that represents only their interests. A buyer's agent, hopefully one that has taken the time to gain the ABR designation (Accredited Buyers Representative), can carefully navigate their buying client through a real estate purchase. More than one million people in the United States are licensed to sell real estate. Of those licenses, very few are buyer representatives. Consumer advocacy groups have endorsed such representation, and licensing laws in virtually every state are now being reformed to enable and encourage representation for the buyer. Whether you are a first-time buyer or an experienced buyer, it is good to know that your real estate agent has your best interests in mind as you select a home. Put an experienced buyer representative to work for you. Your buyer representative will appraise your criteria for a house and neighborhood, then search for properties that fit those specifications. Your buyer representative will set appointments for showings and monitor the market as new listings become available. Market value is determined by many factors, including the availability of similar properties at competitive prices, location, condition, and most of all, the price that the knowledgeable buyer is willing to pay. Your buyer representative will provide market data to help you establish an offering price. There may be other considerations besides price that are equally important in the structuring of a purchase offer. The terms and conditions of the offer, amount of deposit and possession date are likely to be factors when an offer is made. Your buyer representative will help in your preparation of a purchase offer. When a purchase offer is made, the sellers may be concerned with certain aspects, including the ability of the purchasers to fulfill their agreement, the terms and conditions of the offer, the breakdown of closing costs between the buyer and seller and even the motivations and lifestyle of the prospective new owners! Your buyer representative will help structure a negotiating strategy that will create the desired result; a new home. A lot has to happen between signing the purchase offer and moving into a new house. Your buyer representative will attend to the details and keep you in touch with the transaction every step of the way. Sellers list their homes with real estate agents to ensure professional representation throughout the home selling process. As a buyer, you deserve the same kind of service! Federal Housing Authority (FHA) - These loans are backed by the government and typically offer homebuyers advantages in the amount of money they can borrow and leniency on credit. With an FHA loan, a homebuyer can qualify for a mortgage equal to not more than 29% of their gross montly income and a total monthly revolving debt of not more than 41% of their gross monthly income.For example, if a homebuyer makes $1,000 per month, they would qualify for a monthly mortgage equal to $290 (29%) and their total revolving debt could not exceed $410. The 29% and 41% limits are guidelines and are not always set in stone, so if you think you do not exactly fit, please let a lender make the call. You might be pleasantly surprised. An FHA mortgage will allow a purchaser to borrow slightly more money based on income and the Mortgage Insurance Premium (MIP) is slightly less than Private Mortgage Insurance (PMI) on a similar-sized conventional plan. Get used to the terms MIP and PMI. These types of insurance act as a policy for the lender insuring the top 20% of the loan. In a conventional loan, PMI covers the difference between the homebuyer's equity and 20%. For example, if a purchaser buys a $100,000 home and puts down $10,000 (or 10%), the purchaser would be required to carry PMI for 10% of the loan (or $10,000). PMI can be removed when a homeowner reaches 20% equity. MIP is for the life of the loan. Most homeowners have found removing PMI is not particularly easy. Usually refinancing is the best way to remove PMI. PMI and MIP have made it possible for buyers with less than 20% down payment to purchase homes. There are also new loan programs available that can circumvent the need for PMI in a conventional loan. The income limits for a VHDA loan increase slightly depending on the number of family members living in the household. Typically these limits start at $50,000 for a two-person household. The limits for the prices of a home are $114,500 for a resale and $142,000 for new construction. VHDA Plus - This program requires a 1% down payment. All closing costs are financed in the loan. A seller may pay some of the purchaser's closing costs if it can be negotiated in the contract. VHDA Step - This program offers a break on the interest rate in the first 2 years of the loan. For example, if the current 30-year interest rate is 8%, a VHDA Step loan would have a 1st-year rate of 6%, a 2nd-year rate of 7% and the final 28 years of the loan would be based on the 8% market rate.The Step program allows a homebuyer to grow into their monthly loan payment. A 3% down payment is required. If a homebuyer has been active military and qualifies, the VA loan program is a great way to purchase a home. With a VA loan, a homebuyer can get in with no cash. The fees are financed into the loan or can be paid by the seller. There are no income limits and the loan limit is $205,000. VA loans can be assumed by another qualifying veteran. Most homebuyers fall into this category of loan. In a conventional loan, a homebuyer can qualify for a loan equal to 28% of their gross monthly income. Their total revolving debt should not exceed 36%. The trick to a conventional loan is that good credit and large down payments will allow a lender to exceed the qualifying guidelines. When a borrower puts down less than 20% down payment in a conventional loan they are required to pay PMI as explained earlier. There are new types of loan programs that allow borrowers to avoid PMI. These programs are called combo mortgages. A combo mortgage avoids PMI by using a second mortgage and a borrower's equity to equal the 20% down payment. For example: If a homebuyer purchases a $200,000 home and has only a 10% (or $20,000) down payment, a combo mortgage has a second mortgage equal to 10% so that the home buyer has the required 20% equity to avoid PMI on their primary mortgage. The advantage of the combo mortgage is that the second mortgage offers the homebuyer an additional tax break - PMI is not tax deductible. The payments for a combo mortgage and a mortgage with PMI are about the same. Homeowners also pay to their equity with the combo mortgage. There are combo mortgages for buyers with down payments of 5%, 10% and 15%. Some creative lenders have 0% down payment loans that avoid PMI, but the rates often are not worth the savings. When a homebuyer's loan exceeds $265,000, then that loan is called a jumbo loan. Jumbo loans cost slightly more - 1/8 to 1/4 percent. The bottom line to a conventional loan is that money and a good credit history allow a lender to offer flexibility. The good news is there is a loan program for almost everybody. The bad news is there is a loan program for almost everybody. Lenders have terms called B, C, and D paper. These terms refer to loans made to borrowers who do not meet necessary income and credit requirements. Depending on the rate of the loan, a loan in this category might be a good idea for some purchasers. However, many of these loans carry expensive prepayment clauses and the interest rates can range from a percent above market rate to twice market rate. Consult multiple lenders before using this type of loan. A good lender might be able to help a borrower with marginal credit qualify for an FHA or conventional loan, or at the very least tell you how to correct whatever problem might be keeping you from obtaining a loan with a market rate.